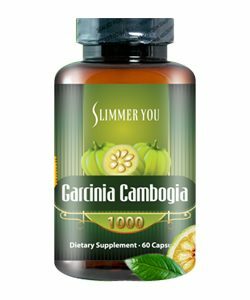 People who are doing a daily job or having a business in which they need to sit throughout the day are having problems in getting a flatter tummy. Because of their busy schedules, they have no time to perform physical activities, such as walking, running, yoga, and exercise which is causing them to have a larger tummy. Getting rid of excess weight and keeping a flat tummy is not an easy task. Even if you consume a healthy diet and take time to exercise, it’s still hard to lose weight. 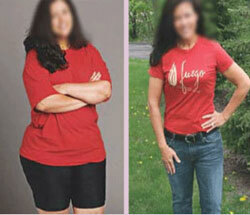 Having a “diet and exercise” regimen is essential in losing weight. However, people often forget to emphasize the diet part of the routine because it’s a lot easier to eat whatever you like and consider working it off at the gym. But, that’s not exactly how your body works. The kind of foods you eat matters and your eating habits can affect how your body figure looks and how you feel about yourself every day. It’s essential to evaluate your eating habits and do a regular exercise to reduce excess weight. Giving attention to these few details can aid in toning your stomach, and getting a sexier and healthier body by the time you improve your eating habits. 1. Add Diuretics to your meal. The best diuretic that is easy always available in your kitchen is Lemon. You can this in each of your meal. Lemon juice is a perfect alternative for a flatter tummy. You can incorporate Lemon directly into your food, or you may add up lemon juice into your daily meals. There are times that you will eat real food even your body is craving only for water. Hence, make sure to have more fluid intake every day so you can cut down on the calories you eat. Water also makes you feel even fuller. 3. Eat slowly and chew your food carefully. Give yourself enough time to chew your food thoroughly to avoid bloating. Practice the habit of chewing your food 20 times before swallowing. The faster you swallow your foods, the greater the amount of air will enter your system which will lead to having a bloated stomach. 4. Consume foods which are high in fiber. When you include more fiber into your meals every day, your body is going to take in lesser fat. Fiber is essential to the digestive health, slowing down your cravings for food and any sweets. You should by now begin eating whole grains, fruits, and vegetables, beans, and entirely ditch those unhealthy kinds of foods in your diet. Also, incorporate enough amount of protein in your meals. 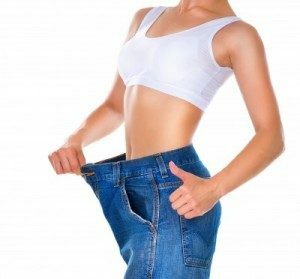 If you wish to have a flatter belly, then you must have to take fewer calories, which merely means that you have to eat less food. Thus, before taking your lunch or dinner, get enough amount of salad as this is going to reduce your hunger and make your tummy flatter. 6. Limit the amount of salt in your diet. Consuming a high amount of sodium is not good for your health. Salt allows your body to retain more water, leading to having more weight. Always pick low-sodium meals over foods that have too many herbs and spices. 7. Use chopsticks when eating. When you eat your food through the use of chopsticks, you are going to have smaller bites, hence having more time to chew and feel full sooner. This entry was posted in Weight Loss on July 29, 2017 by Sylvia.